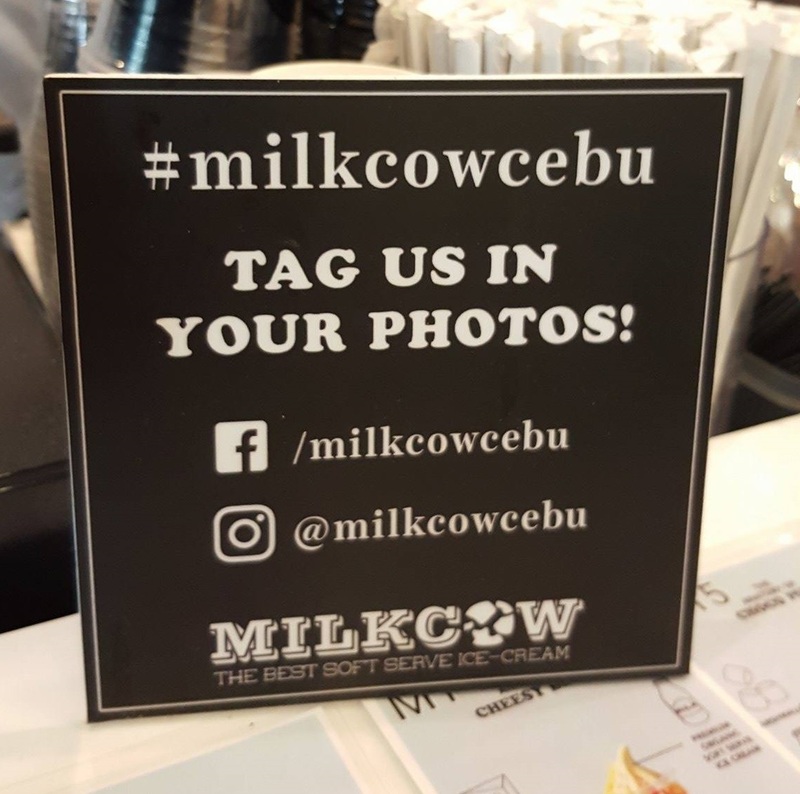 Attention to all Cebu café lovers, here is another great place you can add to the list of your next café destination - MILKCOW! Yes, you read it right! 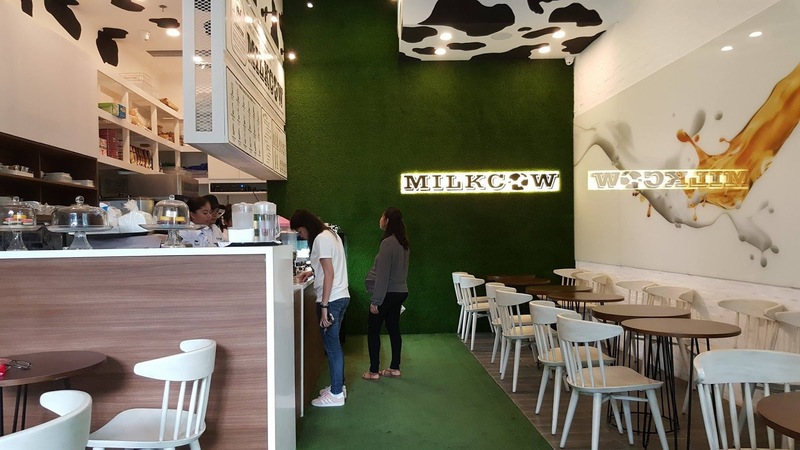 Milkcow is finally here in Cebu, Philippines ready to serve you ice cream, coffee, macaroons and food you will greatly love. 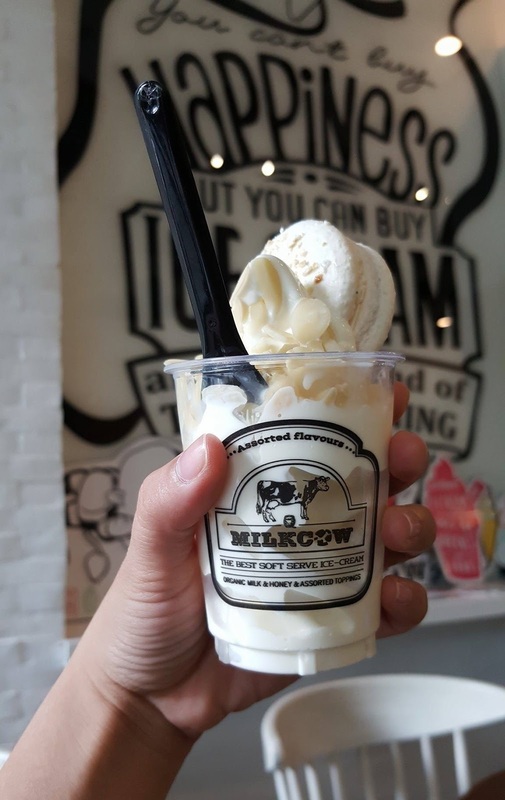 Milkcow is a fast-growing ice cream parlor and ice cream café brand in Korea widely known for serving high-end desserts, food and coffee. 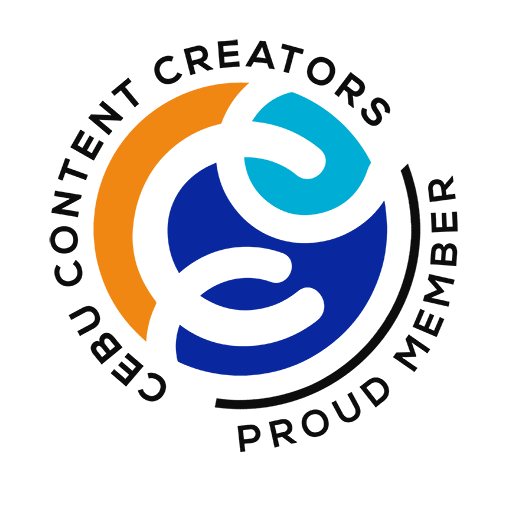 It has 50 branches and has expanded to other countries such as Malaysia, Japan, Singapore, China, the US and the Philippines. Where is it particularly located in Cebu? 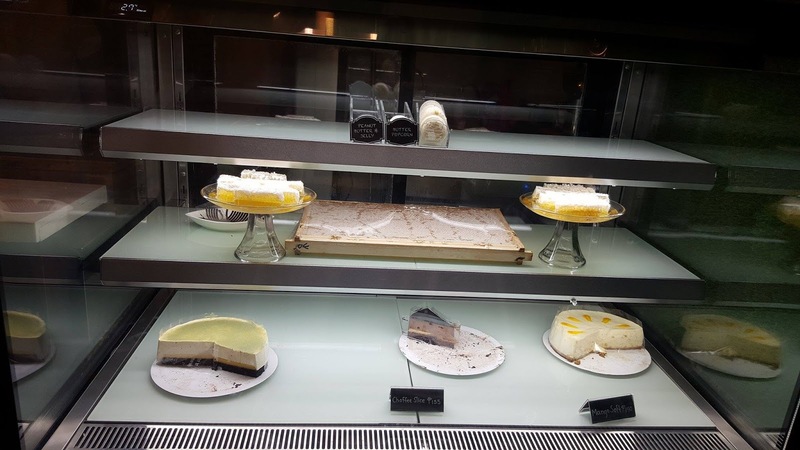 Here is my first time experience in the café . My friends and I are eager to taste the ice cream in here because a lot of people are talking about it. It is "sikat" or "known" in our ears. It is 9:55 AM when we visit the place. Since, their opening time is 10:00 AM, it is clearly obvious that we are not so excited, haha! We wait for 5-7 minutes outside and voila, we are the first customers! We get in. The place is cold, cozy and clean. Look at those patterns in the ceiling. Captivating! It is still very early and the in-charge personnel are still baking macaroons, brewing coffee and cooking foods. These are the available items for the meantime. It looks sad hihi! We are not sure what to order because all items in the menu looks delicious in our eyes. So, we ask for the best-sellers. 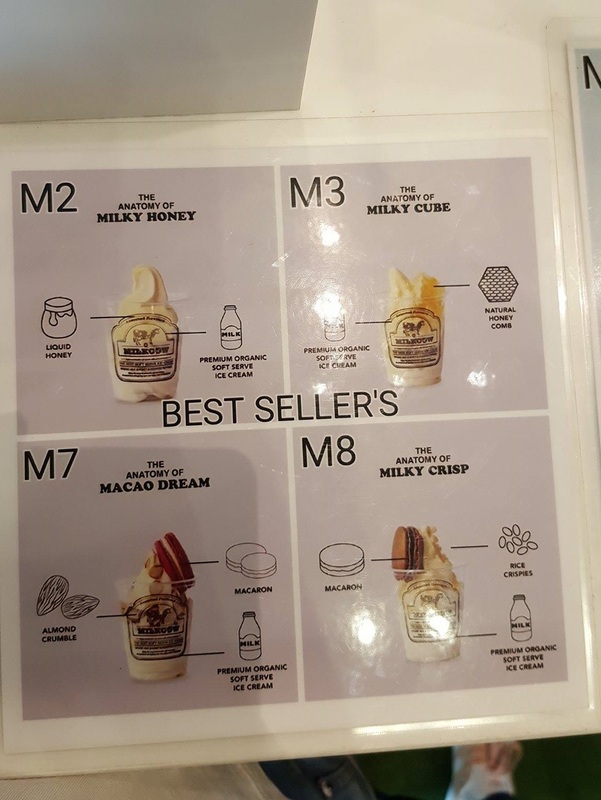 The best sellers are The Anatomy of Milky Honey, The Anatomy of Milky Cube, The Anatomy of Macao Dream and The Anatomy of Milky Crisp. We choose the Anatomy of Macao Dream because among four, this looks fancy! Price is Php 170.00 pesos. The macaroon is not red; it is white. Maybe because we do not specify the color upon order. List of best-sellers in a separate menu list. For those who love taking pictures like me, there is a perfect spot for us. Look at that neat corner near the entrance door with props you can choose. 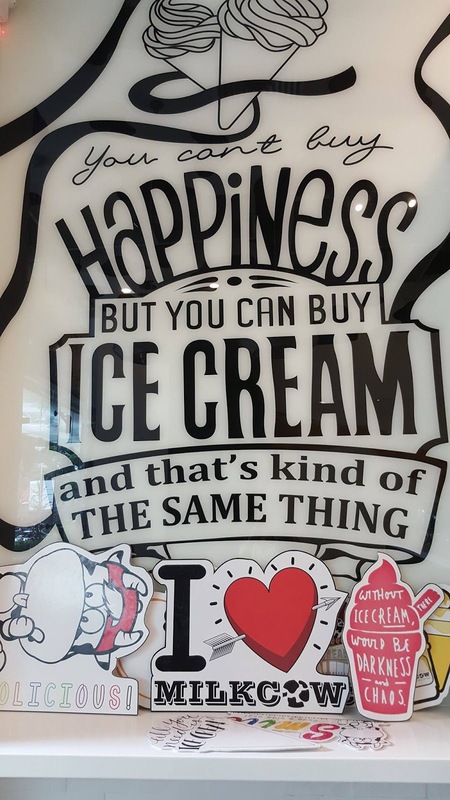 You can't by happiness but you can buy ice cream and that's kind of the same thing! Without ice cream, there would be darkness and chaos. Char! 1. It is such a hit in Korea. 2. 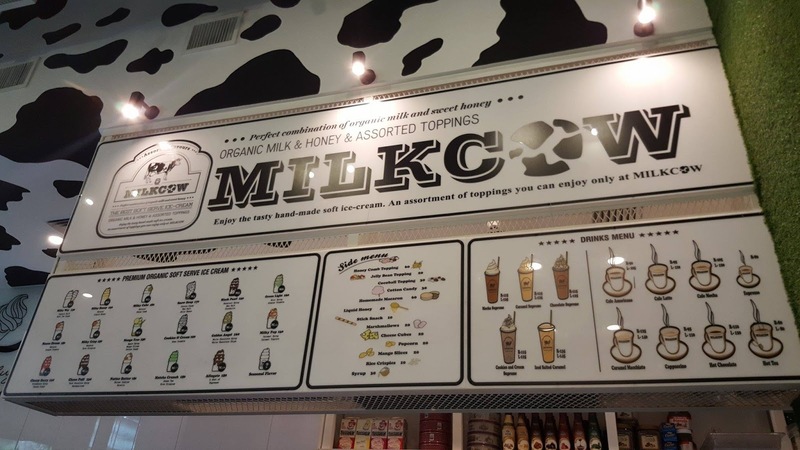 It came up with many interesting toppings and ice cream designs, which, due to their taste, cuteness and creativity, fascinated Koreans. For example, putting cotton candy on top of the ice cream looks really pretty but it also makes the taste unique. 3. It uses organic milk. Milk comes from cow that are not given growth hormones or antibiotics to enhance their milk yield. 4. 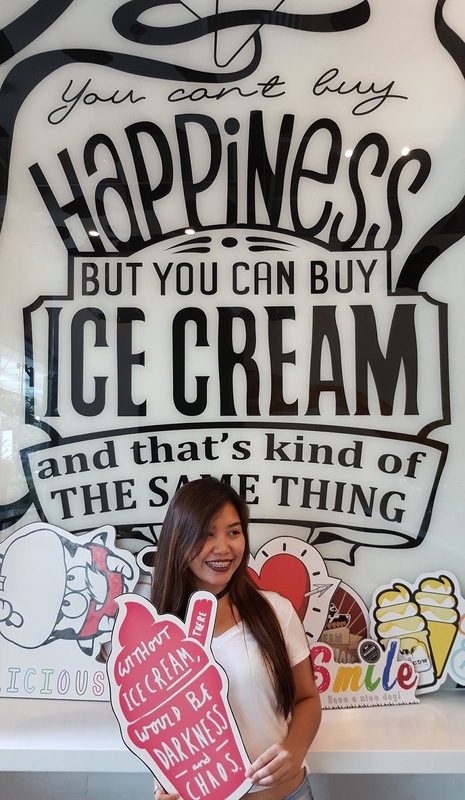 Ice cream is soft served, pure and not diluted. Every order is handmade to ensure that they stay true to their artisan roots and that quality is not compromised. 5. 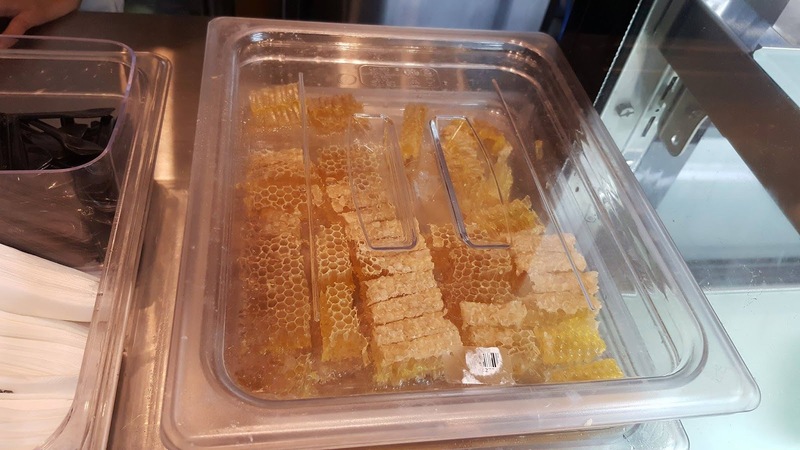 Ice cream with honey is a must-try. So I'm gonna try it next time. 6. 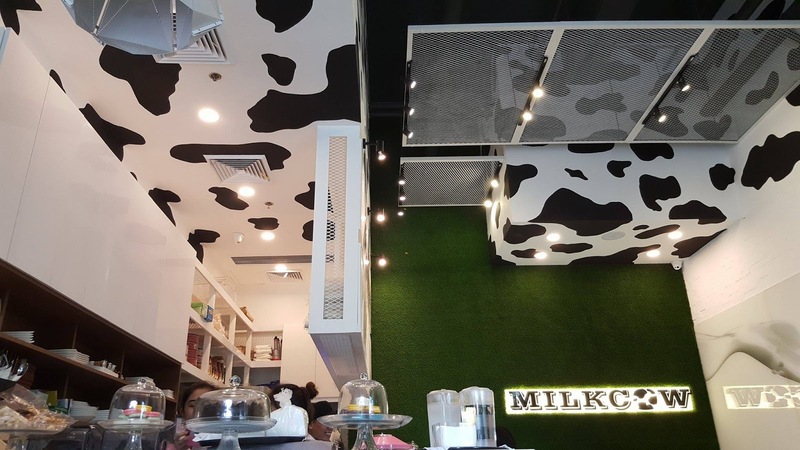 For some, Milkcow is a bit pricey. Well, I guess the quality of the food justifies it. 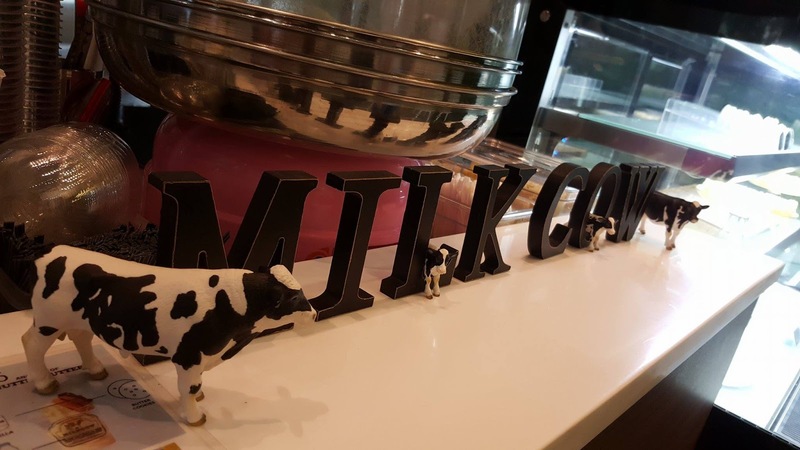 Visit http://www.milkcow.ph for more information. Like their Facebook page and follow on Instagram.